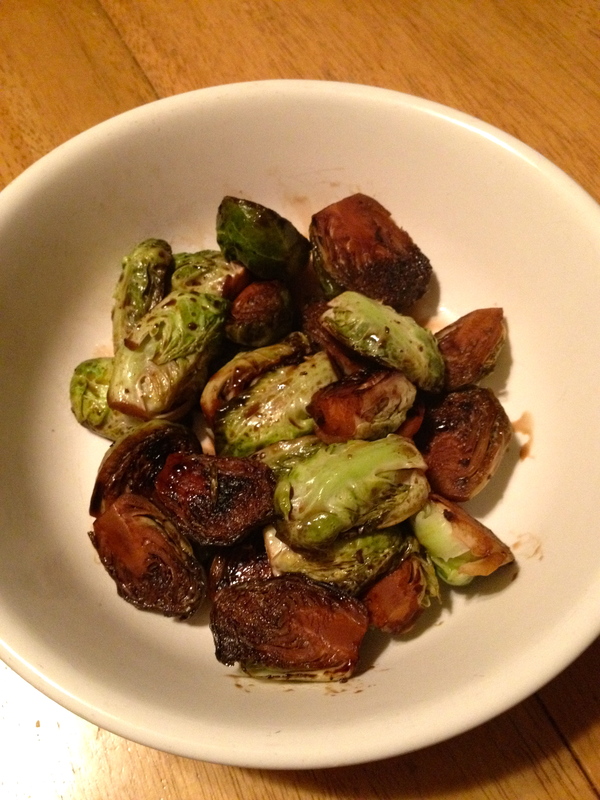 I used to be dead-set in my negative opinions about brussels sprouts.. until last Thanksgiving, when I roasted them with a balsamic glaze and brown sugar! 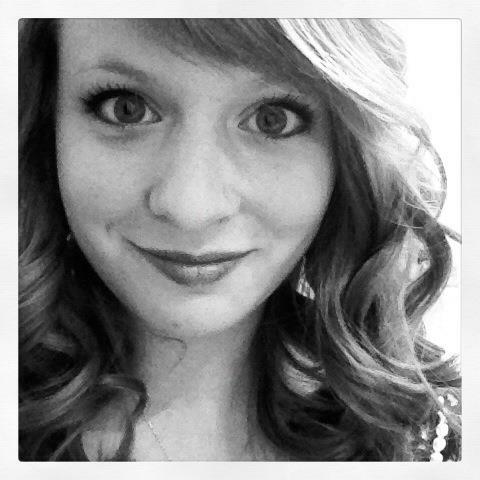 Since then my sister Sarah has asked me to make them numerous times, as she did tonight. 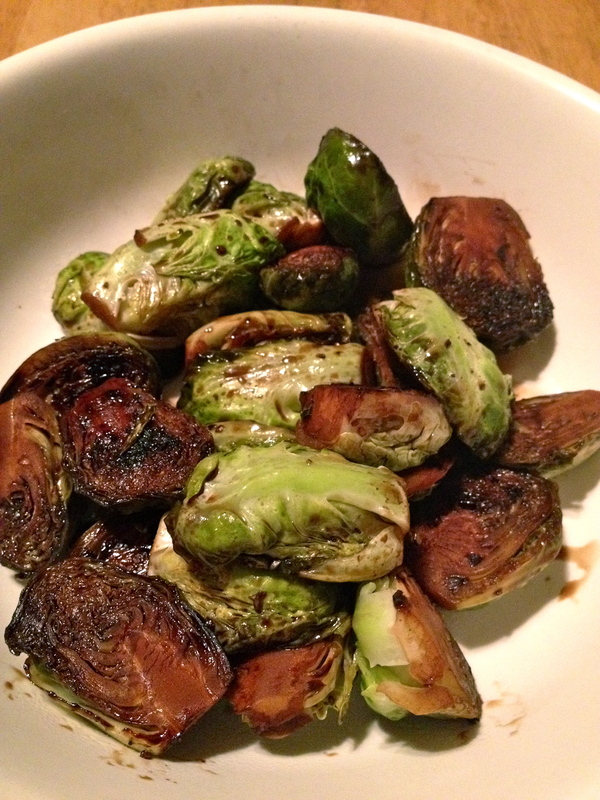 I have tried to find an easier way to replicate them without having to go through the roasting process, and I think this method successfully caramelizes the brussels sprouts in the most delicious way. I’m sure it will convert you and your loved ones to brussels sprouts lovers as well! 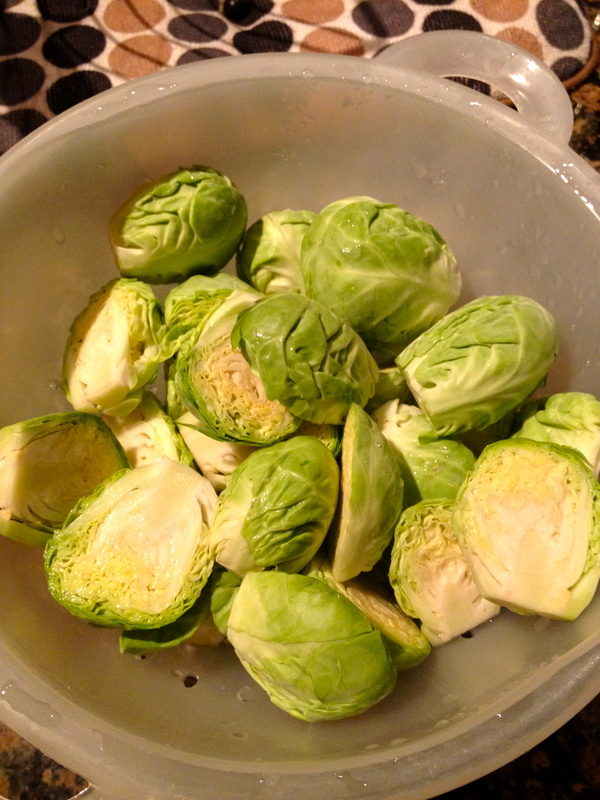 Cut the ends off of each brussels sprout and cut them in half, lengthwise. Add 1 1/2 tbsp balsamic glaze, 1 tsp brown sugar and pepper. Mix thoroughly. In a skillet, heat oil. 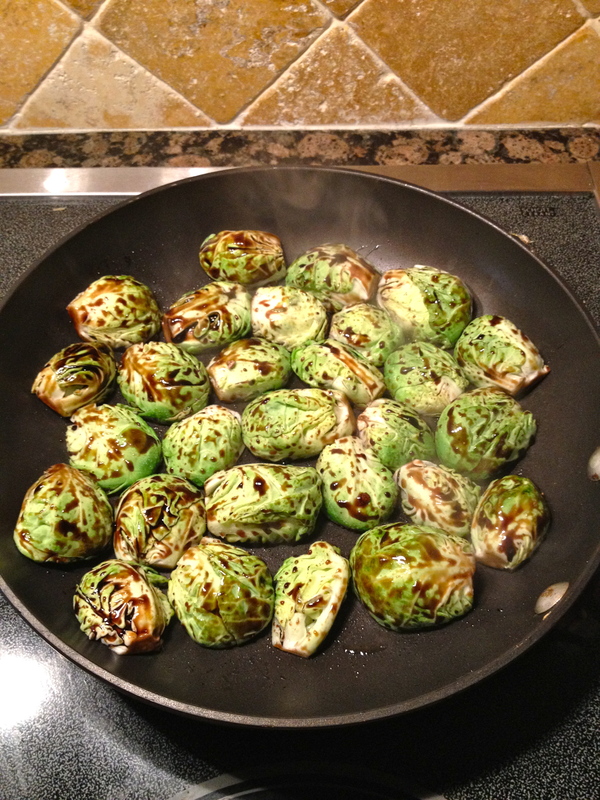 Place each brussels sprout half cut-side down in the pan, cover with a lid and cook on medium for about 5 minutes. In a small bowl, mix together vinegar and 1/2 tbsp balsamic glaze. Uncover pan, sprinkle the last tsp of brown sugar in and add the vinegar mixture. 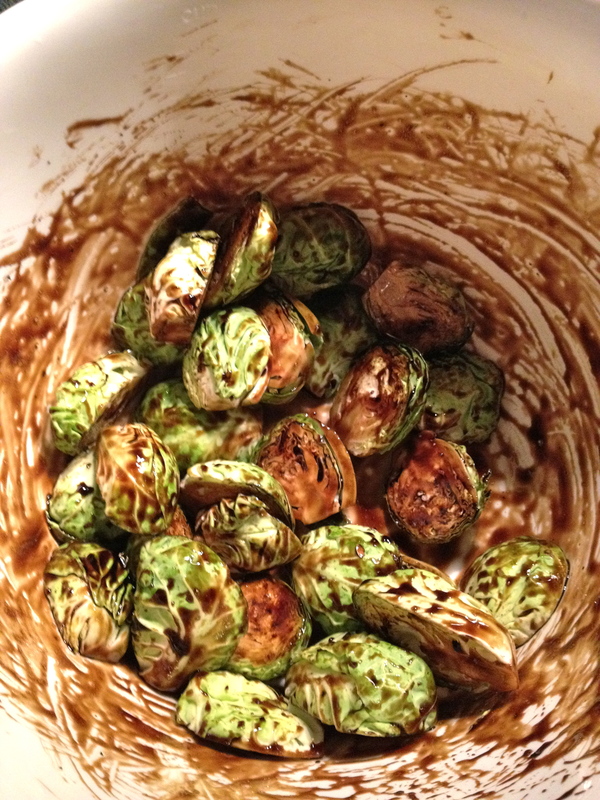 Let cook until the vinegar mixture soaks into the brussels sprouts completely. While you are cleaning the brussels sprouts, if you loose a lot of leaves you can save them and add them to a salad, or top a pizza with them. I’m pretty confident that whether or not you are a lover of this difficult vegetable, you will find this recipe pretty darn tasty! Enjoy!